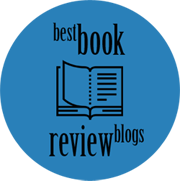 This morning I read a 5 STAR review of Sabine Durrant’s latest novel “Take me in” by one of my favourite bookblogger friends Cleo. I want to read this title so much! Blurb: He saved your son’s life. And it’s not how things start that matter. Reason #1 – I’ve been a loyal fan of Sabine Durrant ever since I read her thriller “Under your skin” with my book club / I correct myself, it was even before that when I read her funny yet endearing little novel called “The great indoors“. Reason #2 – I deeply respect Cleo’s opinions as in so many instances her tastes reflect my own tastes in reading. Once again, I covet a title that is offered by a United Kingdom based publisher, Hodder & Stoughton/Mulholland Books. My problem? This new title of Sabine Durrant’s called “Take me in” is not available to me on the North American NetGalley or Edelweiss (though it is available to ‘wish for’ on the UK NetGalley site) AND I cannot even place an order for it on Amazon as it is not available in Canada. Is there a particular title that YOU want to read, yet is unavailable to you? Feel free to add your rant to mine in the comments. 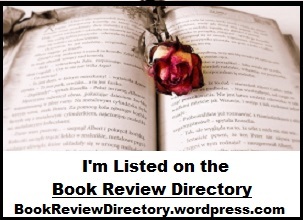 This entry was posted in ramblings & miscellanea and tagged rants, TBR list, thrillers. Bookmark the permalink. Ugh, you poor thing! I’m outraged on your behalf. I can’t really relate bookishly (I’m reading a combo of literary classics and contemporary best-sellers at the moment, all of which are pretty much universally available)… BUT, being Australian, I run into this problem *all the damn time* with music and YouTube videos!! Have you seen that meme that has a screencap of the YouTube “this is not available in your country” screen that’s captioned “I live in Australia, not Narnia!!”? It sums up my feelings perfectly. And it’s a daily ocurrence. Grrrrrrr!!! This is awful! I have never had the problem with digital copies but paperbacks are sometimes tricky to get. I read exclusively on my Kindle now. Old eyes and convenience have spoiled me for print books. Oh 😦 I admit I like the Kindle as it is indeed gentler on the eyes (I have been having eye issues since I was a baby) but I am frustrated by my 150 virtual books, I can’t look at them nicely arranged on a bookshelf! I agree 100% I panic when I don’t have lots of books one click away. As an American I am often frustrated when I see a book title offered in the UK but not here. A few times I’ve resorted to paying double and ordering them on Amazon UK, but like you I would rather read on my Kindle. The life of a reader is full of disappointments. Thanks for listening to my rant and commiserating with me. What an amazingly generous offer! You are awesome! I’ll let you know if I can’t procure a digital copy. I find this interesting as I’m in Scotland, UK and quite often get books from NetGalley US .. wonder why it doesn’t work the other way? Lynne, is it on the Book Depository? This author has the best covers and I want to try her books! I checked, and they DO have it as a physical copy. I’d really prefer to read it on my Kindle, but will resort to a physical copy if that is the only way I can get it. Have a you tried Book Depository?? I have gotten a few books that are not sold in the US through them. Thanks for your suggestion Jessica. I have never used Book Depository before. I checked, and they do have it as a physical copy. I’d really prefer to read it on my Kindle, but will resort to a physical copy if that is the only way I can get it. Book Depository is great! free shipping worldwide, it just takes a while to get to you. 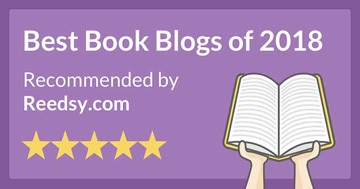 I see you prefer kindle- I hope you can find it in your preferred format!! I can’t remember the name, but I have been declined for some with an email saying it is not available in my country and meant that are only wish and not request. What are we Canadians, chopped liver? I beginning to think that we ARE chopped liver. Thanks for commiserating with me Carla. 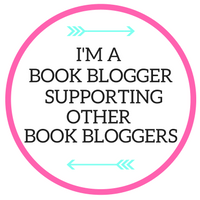 There have been a few books that haven’t been available to me recently that I saw other bloggers getting access to on both Edelweiss and NetGalley, but when I looked they just weren’t there for me. Since they divided the NetGalley regionally, it has been occurring more often. So frustrating. Same thing happened with me when I wanted to request the new Gillian McAllister! So disappointing, but hope you get to read it soon!